You may register with us to be able to access your details on line to book appointments at times that are suitable to you. You will need to pick up a form from reception or download from our website via this link. We release some online appointments at 7.00am every day. We are keen to provide appointments to our patients that are timely and meet their needs. Please telephone 440018 between 8.30am and 6.00pm and our Receptionists will offer the earliest appointment possible. You will need to book a separate appointment for each member of the family who needs to be seen. Please arrive promptly or cancel your appointment if you cannot keep it as this will enable us to offer the appointment to someone else. We endeavour to offer routine appointments within two working days, but at busy times this is not always possible. Urgent medical problems will be seen by the Duty Doctor or Advanced Nurse Practitioner. This is a “sit and wait” basis and at peak times there may be a waiting period of up to 2 hours. You will be asked by the receptionist to give a brief reason you want to be seen urgently – this is so they can book you in appropriately with a GP or ANP. 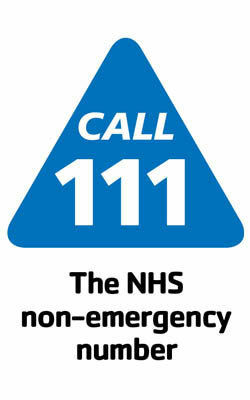 If your appointment or query is not urgent, please try after 9.30 am to avoid our busy period on the telephones. You may experience a “dead line” if our call system is at capacity. This capacity is set by our line providers, Gamma, so is beyond our control. A doctor is usually available to advise over the telephone. Please call 01623 440018 to request a call back from a doctor. This is usually after morning/afternoon surgery.